Burners are an essential part of most boiler systems and are the location where oxygen and fuel are mixed, combusted, and transferred into the boiler to distribute heat to the water. The three primary burner types are Low NOx Burners, Ultra Low NOx Burners, and Duct Burners. All burners require a supplementary Fuel Gas Skid upstream in the process to condition and send fuel. Additionally, a Burner Management System (BMS) and Boiler Control/Combustion Control System (BCS/CCS) are mandatory in order to control the amount of heat transferred to the boiler and to guarantee the required system safeguards. Low Nitrogen Oxide (NOx) Burners employ burner geometry that prevents the flame temperature from reaching that where peak NOx formation occurs. They are capable of reaching NOx emissions as low as 20 ppm (41 mg/Nm³) through the use of Flue Gas Recirculation (FGR) when firing Natural Gas. Ultra Low NOx burners use advanced fuel/air staging & mixing and create a highly stable flame. Two variants of the Ultra-Low NOx burner can reach 15 ppm (30 mg/Nm³) and 9 ppm (19 mg/Nm³), respectively, with FGR, often eliminating the need for back-end Selective Catalytic Reduction (SCR) equipment. Also known as Supplementary Firing, Duct Burners are sometimes included with Heat Recovery Steam Generators (HRSGs). They include a grid of combustion ports mounted to a central assembly that is mounted in the duct of the HRSG between the turbine exhaust inlet and the water tubes. Duct Burners increase the available heat output of the HRSG and utilize existing oxygen in the turbine exhaust or regenerative air from a separate fan for combustion. Employing Supplementary Firing allows a plant to respond quickly to fluctuations in electrical load by raising peak power production of a unit and/or enabling higher steam output. The Fuel Gas Skid is an integral part of any burner system. It is designed to condition the fuel before it enters the burner and includes provisions for filtration, moisture removal, pressure regulation, and combustion safeguard stages. 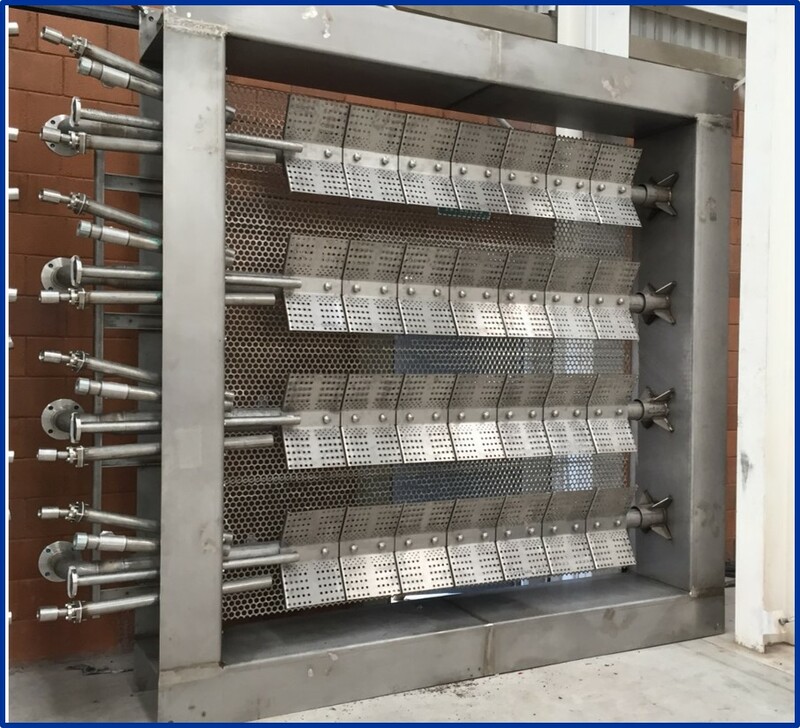 Every Fuel Gas Skid is constructed in accordance with NFPA standards and is designed for operation with an ASME Section I boiler. Fuel gas skids can be designed to accommodate gaseous fuel, liquid fuel, or some combination of both. 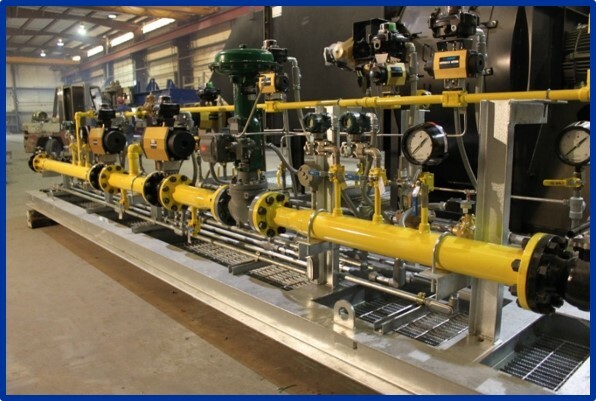 Burner Management Systems (BMS) are a mandatory part of the combustion system on a boiler. They control and monitor the burner start-up and shutdown sequences, pilot & flame detection, and master fuel trip & purge in addition to many other functions and safeguards. 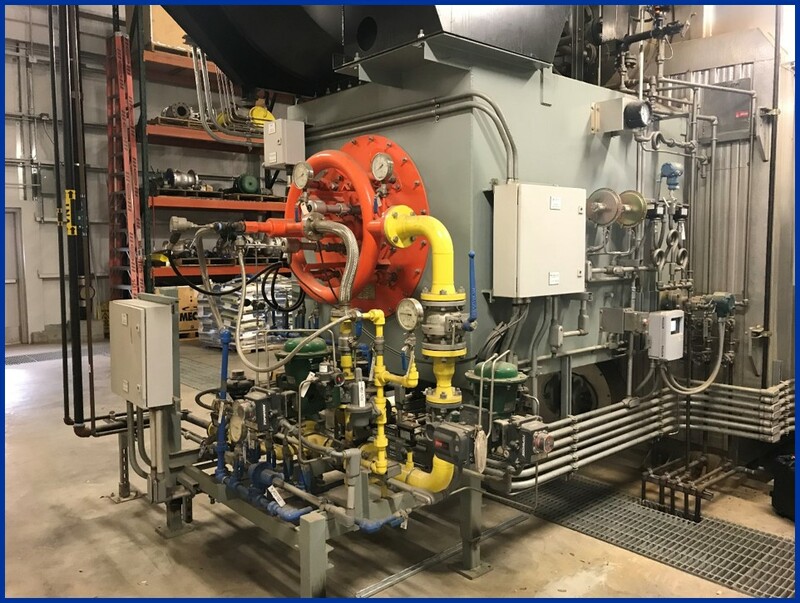 The BMS typically includes the logic hardware, enclosures, and peripherals in conjunction with software to guarantee safe and reliable operation of the burner. 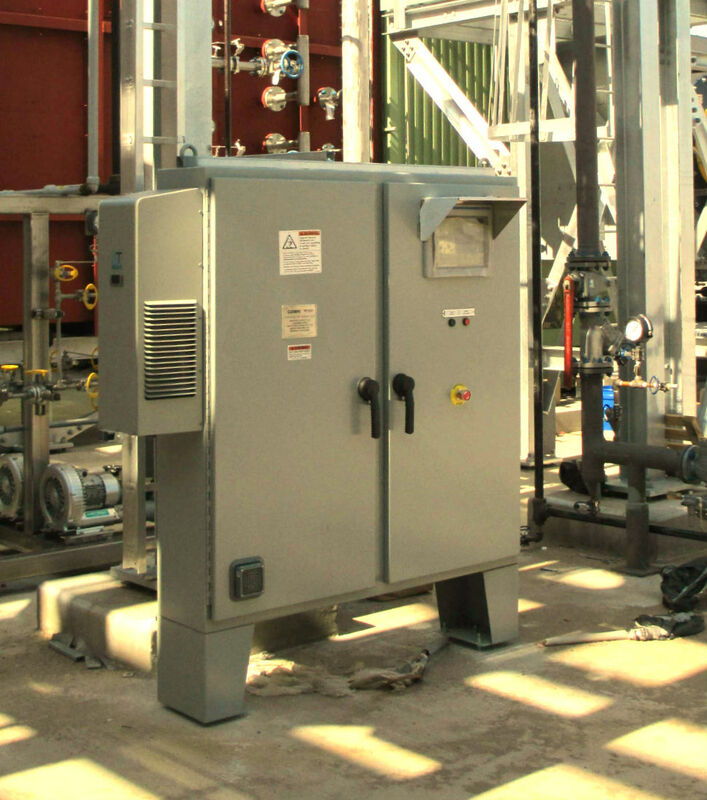 The Boiler Control System (BCS) serves to control the overall operation of the boiler, including directing the combustion process in conjunction with the BMS. The primary functions that the BCS supports are regulation of available excess air for combustion, oxygen trim via flue gas measurements, burner modulation, air/fuel cross limiting, and total heat control. 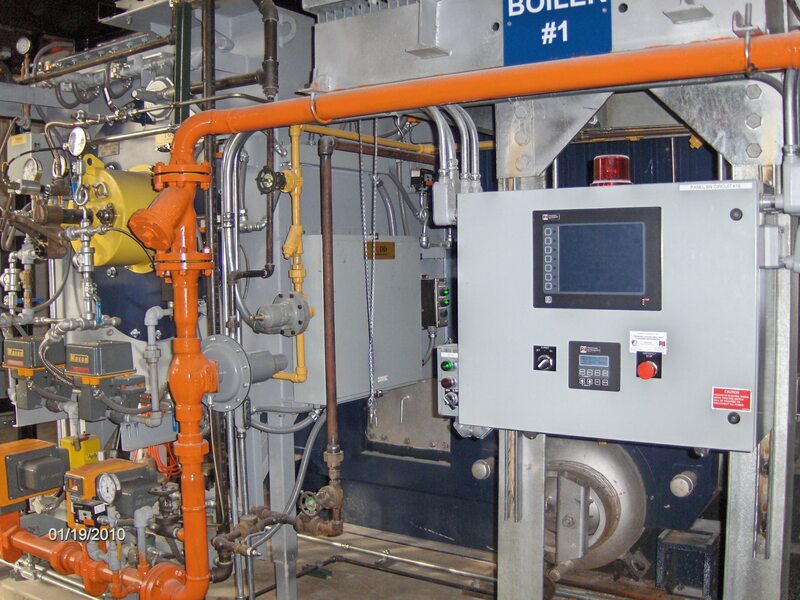 Each of these functions is uniquely valuable in guaranteeing safe, reliable, and efficient operation of the boiler system.